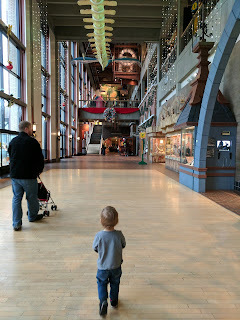 We were originally going to visit the zoo today, since it is the only day they're open for the winter. When we arrived the place was packed and there was a long line, too line for a toddler. 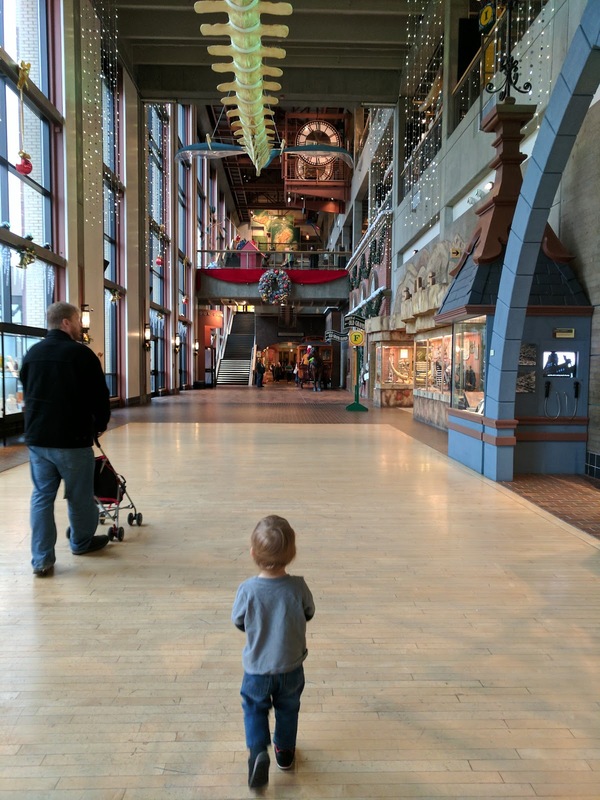 So instead we headed over to the Grand Rapids Public Museum which was pretty empty compared to our last visit during the maker faire.